Stac Pollaidh is a mountain in the Northwest Highlands of Scotland. In the beginning the peak was named as "The Pinnacle and later changed on maps into "Stac Polly". Due to its relatively low height of just over 600 meters, amazing views and ease of access from a road it has become a very popular peak to climb. It also provides some fine scrambling to the summit ridge, including one very difficult last step to the final summit. Stac Pollaidh has suffered from a great deal of erosion and that's why the Scottish Natural Heritage constructing a large footpath. 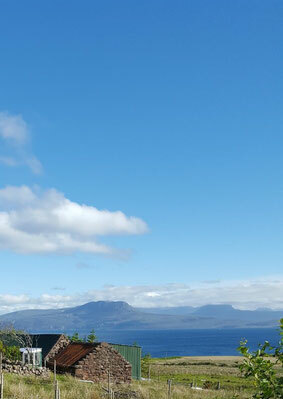 Everywhere during the whole walk you have great views over Assynt to the North and Achiltibuie & The Summer Isles to the South and West. Download the walk to Stac Pollaidh.